A HORTI-TRELLIS is a professional plant support trellising for horizontal or vertical applications. 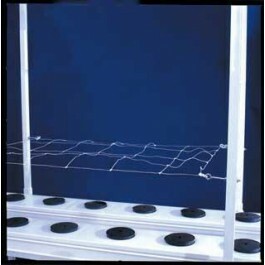 The trellis is made of pliable plastic for multiple uses, and unlike string net trellis, it will not tangle. The HORTI-TRELLIS is 48 inches in width with 6-inch squares.